Structure: The rafters and trusses that support the decking. Decking/sheathing: The boards or sheet materials that are fastened to the roof rafters to cover the house. Underlayment: Sheets of asphalt-saturated material. Used as a second layer of protection for the roof decking. 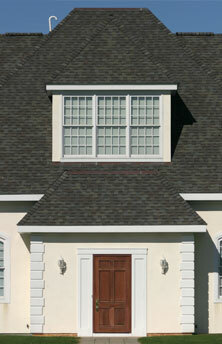 Roof covering: Shingles, tiles, etc., that protect the decking from weather. Drainage: The features of the roof's design such as slope, shape, layout, etc., that determine its ability to shed water. Flashing: Sheet metal laid into the various joists and valleys of a roof system to prevent water leaks.